But I’d never thought of myself as a sinner in need of saving. I wasn’t even sure what people were saved from. At youth camp that changed when a youth leader explained John 3:16. 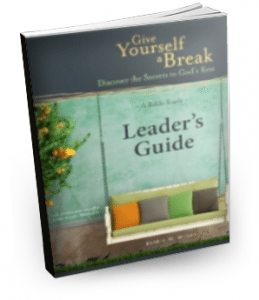 That night, the Holy Spirit cut through my blameless veneer and exposed a self-centered core. I’d wronged God, and my sin had sent Jesus to the cross. The realization broke—and healed—my heart. The gospel became personal. Jesus didn’t just love this conglomerate called “world.” He loved me! I returned from camp on top of the world—a citizen of heaven—a child of God. Could anything be better? But the glow faded. I didn’t sprout wings as I’d hoped. I still bristled when Mama said, “Clean your room.” I still fussed when my little sister got into my stuff. Knowing Jesus assured me of heaven when I died, but it didn’t seem to make much difference in this life. In college, I spent a weekend with some vibrant Christians. Their lives created a thirst to know God better. A friend invited me to her Bible study. We listened to audio tapes of someone teaching the Bible. This group read the Bible as if it meant what it said. I’d read my Bible for years, but it raised more questions than answers. I viewed the Bible through my own understanding. I kept what agreed with my world view and threw out the parts that didn’t. No wonder it didn’t make sense! Those I met who simply trusted the Scriptures showed more joy and peace than I felt. I faced a choice. Would I trust in my own understanding, or would I believe the Scriptures? I exchanged my know-it-all approach for childlike faith, and the Scriptures became alive to me. Questions, I thought could never be answered in this life, became clear. Scales fell off of my eyes. Even how I saw the evening news changed. Life brimmed with the presence of God, and I couldn’t get enough of Him. A college friend’s gentle correction taught me my Bible offered more than inspiration. I needed to do what it said (James 1:22). When I grumbled over my typos (This was before delete keys! ), she said, “I guess you’re learning to give thanks” (see 1 Thes. 5:18). Hmm. My mouth hadn’t been spouting thanksgiving. But I decided to try it. It felt weird to thank God for mistakes. But she was right. Giving thanks changed my attitude and cleaned up my mouth. As I saw the change happening in me, I felt thankful! Maybe you’ve developed a thirst to be close to God or a longing for more joy and peace. 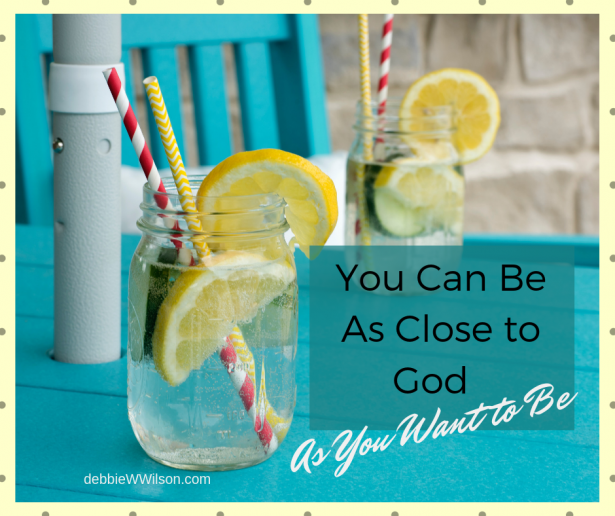 You can be as close to God as you want to be. Approach God as your heavenly Father. 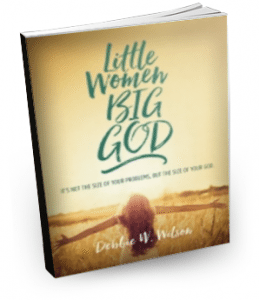 Do you want to know God better? Ask your heavenly Father with the faith a secure child would ask her daddy for new soccer shoes and know he’d provide the right size. Ask and it will be given to you; seek and you will find; knock and the door will be opened to you.For everyone who asks receives; the one who seeks finds; and to the one who knocks, the door will be opened. Which of you, if your son asks for bread, will give him a stone? Or if he asks for a fish, will give him a snake? If you, then, though you are evil, know how to give good gifts to your children, how much more will your Father in heaven give good gifts to those who ask him!” (Matt. 7: 7-11 NIV). Approach Scripture as a child. Trade cynicism and an intellectual approach for childlike wonder when you read the Bible. Don’t divide life into secular and sacred parts. Practicing God’s presence while filling the car with gas reminds us He is always with us. I have come that they may have life, and have it to the full” (Jn. 10:10 NIV). Only one person ever lived the Christian life. Let Jesus express His life through you. I have been crucified with Christ and I no longer live, but Christ lives in me. The life I now live in the body, I live by faith in the Son of God, who loved me and gave himself for me” (Gal. 2:20 NIV). What helps you live close to God? Great truths here. It reminded me of something I once heard a pastor say: “If you’re not as close to God as you once were or would like to be, who moved?” Of course he was reminding the congregation that we are the ones who too often move away from Him. He is always there for us. We get too busy for Him. He is never too busy for us. Well said, Pam. And how ironic that we feel we’re too busy for Him. And yet I certainly can act that way! Melissa, those actions reveal faith in His presence and love. Thanks for adding them. I love when you share your personal experience. It really makes all the difference when you relate to Him as a Father. Thank you, Ann. And it certainly does! I want to be close to God, but I get in my own way, with ‘busy work’ all important things, but not the main thing! I love that He is willing to answer us generously and give us more of himself. Without that, we would be completely hopeless. Aryn, sometimes we do sabotage our own desires. But He keeps pursuing. Thanks for reading and commenting. For me Ms. Debbie, it seems the more time I spend in prayer, the closer my relationship with Christ becomes. When I pray during study time, it’s as though He sits on my shoulder and whispers His wisdom to me. When I am crying out in pain, sorrow, or fear, His strong hands wrap themselves around my heart and He promises me He’s there with me. The words of James 4:8 certainly ring true if we hold onto them. God’s blessings ma’am. Jim, what a beautiful picture of the nearness of God. Thank you for sharing your experience.